We’d love your help. 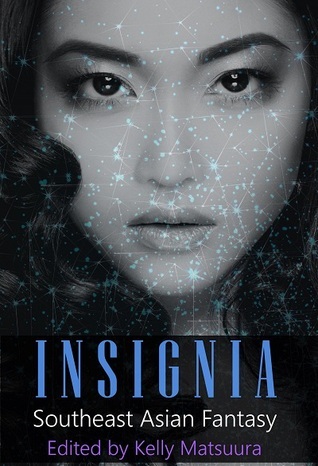 Let us know what’s wrong with this preview of Insignia by Kelly Matsuura. PART II: Adult / INSIGNIA Vol.3 includes 7 Southeast Asian fantasy stories with a mix of literary, contemporary, myth-based, and historical fantasy pieces. Countries included are Singapore, Vietnam, Indonesia, and the Philippines. To ask other readers questions about Insignia, please sign up. Part I bulked out most of this anthology - which isn't a bad thing in my opinion. I'm just not a big fan of Part II: Adult/Literary Tales, I guess. The mos This was definitely my favourite of the three. Kelly Matsuura grew up in Australia, and graduated from Victoria University with a degree in Asian Studies. She has lived in China and the USA, and now lives permanently in Nagoya, Japan. Her writing focuses on fantasy and contemporary stories with Asian characters and/or settings, however she enjoys writing western-style stories occasionally as well. She is the editor and a contributor of 'The Insignia Series' anthologies, currently 4 collections featuring Asian fantasy short stories by various indie authors. Kelly's personal anthologies, 'Whispering Woods', 'Parting Skies'and 'Stirring Winds' are available through Amazon, Smashwords, and affiliate sites.